This entry was posted in Authors You Might Like, Books, Dogs!, Home page and tagged Amateur Sleuths, Dogs, Laurien Berenson, Melanie Travis mystery series, Poodles. Bookmark the permalink. The books sound familiar. They are definitely ones I would read. But as to a favorite, not sure which one(s) I’ve read. Want to read them all. Barbara, my mom used to say her favorite was the one she was reading at the moment! Barbara, there are currently 18 titles in the series so there are plenty to choose from. I hope I am doing this correctly. I have been a fan of the Melony Travis Mysteries since the first book. They are all my favorites. 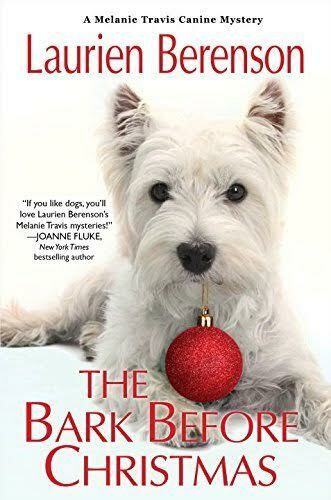 I look forward to tomorrow to get my copy of the new book, The Bark Before Christmas. I had the privilege to meet Laurien years ago at a book signing in Louisville, Ky. She is just great. Monica, you did everything just right! Thanks for coming by. Monica, that book signing in Louisville was one of the most fun I ever did! I met the best people there and it was *my* privilege to have the chance. Love them all! My favorite- Hot Dog. Can’t wait to get the new one tomorrow!!! I recommend these to everyone! Cory, the cover of Hot Dog is one of my very favorites. Love the story, too! Cory, thank you so much for recommending the books! Good word of mouth is an author’s best friend. I have not read this series. It sounds great. I will be checking it out now!! 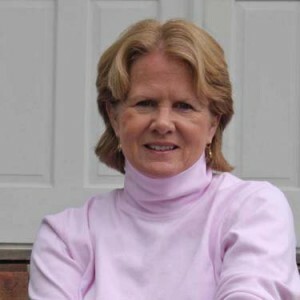 Candace, if you enjoy mysteries and dogs, you’ll love this series! Candace, I hope you like them! Aunt Peg for sure and silly Tarr…all your “people” are real to me the way you develop them! Everybody loves Tar. And I do too, because he is so much fun to write. 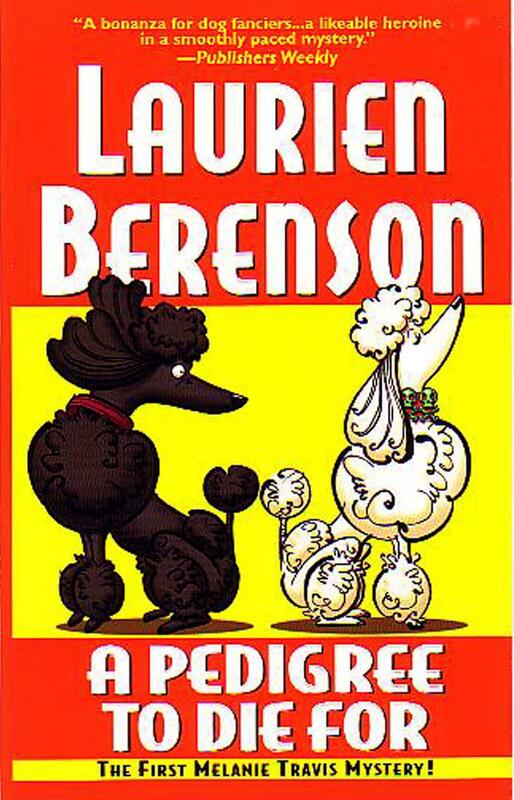 I want to thank Laurien Berenson for her fine series. I’m kind of curious whether you’d ever write about horses? I’ve thought about writing a stand-alone book about Thoroughbred racing but I haven’t gotten around to it yet. In the meantime, next year’s Melanie Travis mystery is set in central Kentucky as Aunt Peg has been given a Thoroughbred broodmare and she and Melanie travel to KY to check things out. So there’s a great deal about horses in that book. I’ll be looking forward to that. I thought I’d read all of the Melanie Travis books. I’ll have to look for Hot Dog! I will definitely be trying this series. Tracy, thank you for giving the series a try and I hope you enjoy it! I love all of Lauren Berenson’s Melanie Travis books. I would love to win a copy of one. Sorry that the I got left out of Laurien. My autocorrect at work. I think my favorite will always be A Pedigree to Die For! It introduced me to the flamboyant Aunt Peg, Melanie and all those gorgeous poodles! I also loved my first peek into the workings of a dog show! The Bark Before Christmas will be especially fun because it has everything I love! Lynn, A Pedigree to Die For has a very special place in my heart. When I wrote that book, I had no idea that it would be the beginning of a 20 year long series! I thought I was writing just a single book and now, all this time later, it’s as if Melanie and company have become my second family. When I am not writing about them, I find myself wondering about what they might be doing in my absence. I would love to have Bertie as a best friend. And Terry is definitely my favorite character to write. He always makes me laugh.